Next weekend the club is holding trials and open days, open to both members and non-members, boys and girls of the ages detailed below. 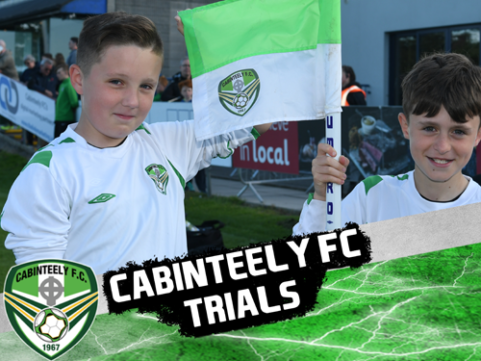 Key trials are for the DDSL Premier and Major squads for the coming season with our other teams being catered for in January. 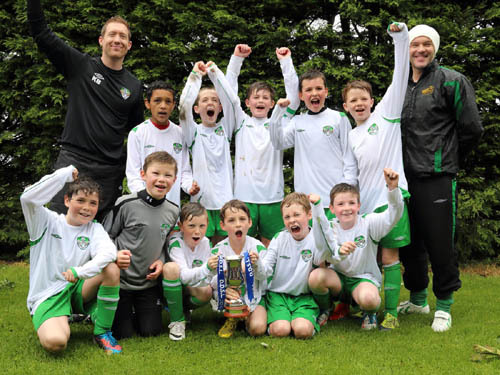 Cabinteely FC offers excellent coaching and facilities for our young players to provide a pathway into the National League of Ireland U-13s, U-15s, U-17s and U-19s. If you think you have what it takes to play this level of football, the Club Age Group Co-ordinators noted below would love to hear from you. If you’re joining us for the sessions please attend at our all-weather pitch in Kilbogget Park for registration fifteen minutes before the stated times below (note that there will be no access to the clubhouse before 12.00pm on Saturday, December 8). Bring full training gear, including shin guards, water and wet gear, if required. If you have any questions or if you’d like to attend but have difficulty with the dates specified, please call the relevant named co-ordinator in advance. Please keep an eye on this website over the coming days for any further updates. Born in 2003 , whens the trials ? Dillon – see the latest entry in the table above and give Roger a call. Hi Runo – we don’t publish those managers’ numbers. Please first call the club mobile number, in the website header above.